Learning to become self-sufficient and responsible is part of life’s journey through the teen and young adult years. Mistakes are often made, and lessons are learned. However, for young kidney-graft patients, any mistake or failure in keeping to their strict immunosuppressive therapy can lead to tragic results. In fact, low-adherence to medication remains a major contributor to the high level of organ rejection in this age group. Audrey Grenier received a kidney transplant when she was 13-years-old and participated in the TAKE-IT clinical trial led by Dr. Bethany Foster (right), pediatric nephrologist at the Montreal Children's Hospital and scientist at the Research Institute of the MUHC. Transplant specialists and researchers from eight leading pediatric medical centres across Canada and the United States have united to help make a difference. Led by Dr. Bethany Foster, a pediatric nephrologist and scientist at the Research Institute of the McGill University Health Centre (RI-MUHC) and the Montreal Children’s Hospital of the MUHC, the team conducted a clinical trial named TAKE-IT aimed at testing a new intervention to improve adherence to treatment among adolescent kidney transplant recipients. Their results are published today online in The American Journal of Kidney Diseases (AJKD). Medication non-adherence is a major problem in the 15 to 30 per cent of children in North America who have a chronic illness, resulting in significant morbidity and mortality. It is also believed to be responsible for millions of dollars in potentially avoidable healthcare costs. The TAKE-IT intervention used a combination of electronic medication monitoring and meetings with a personal coach every three months to encourage and develop adherence behaviour. The researchers followed 169 adolescent and young adult kidney transplant recipients (aged 11 to 24 years old) for a year. Participants used the SimpleMed electronic pillbox, developed by the medical company Vaica, to monitor their medication-taking. The cohort of patients was divided into two groups. 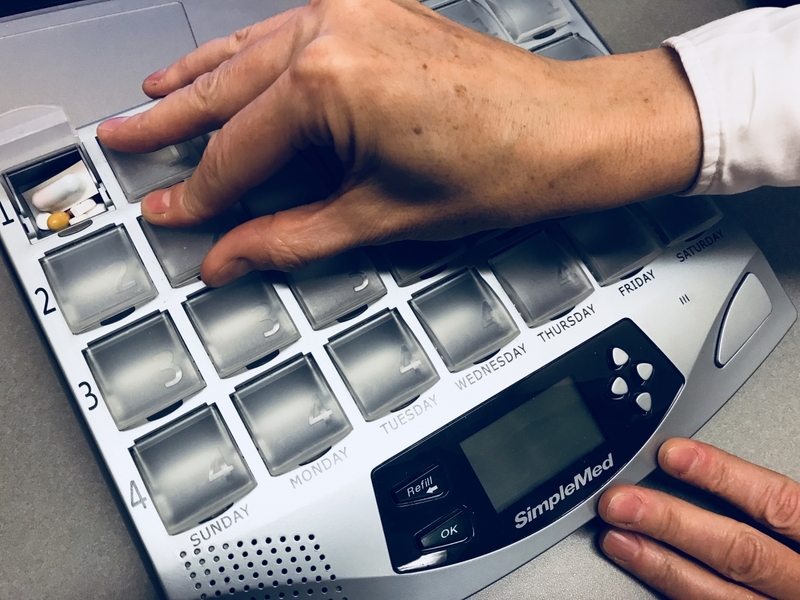 The first group (81 patients) could customize the monitoring system to send them digital nudges like emails or text messages if they did not take their medicine on time. They also received coaching from people who were not part of or did not interact with the clinical team. Members of the second group, known as the control group (88 patients), didn’t receive electronic messaging or adherence coaching. Results of the trial show that the young kidney transplant recipients who used the digital health medication management and adherence solution in combination with coaching had a 66 per cent higher adherence to the anti-rejection medicine. Better adherence is likely to lead to better graft survival. Dr. Bell also emphasizes that remembering to take meds can be difficult when a lot of other things are happening in the lives of these young patients, and points out the benefit of text message and email reminders for a population who grew up using cellphones. The TAKE-IT trial was launched in 2011. It is currently being followed up by a large-scale, five-year study (called TAKE-IT TOO) in which study investigators will collaborate with Vaica, and with patients, parents and healthcare professionals to design a portable medication monitoring and adherence support system specifically for young people, to adapt the TAKE-IT intervention for use in clinical practice, and to test the new device and intervention in a pilot trial. The study was funded by the National Institutes of Health (NIH), National Institutes of Diabetes and Digestive and Kidney Diseases (R01DK092977). Dr Foster, a member of the Research Institute of the McGill University Health Centre, was supported by a Fonds de recherche du Quebec Santé.